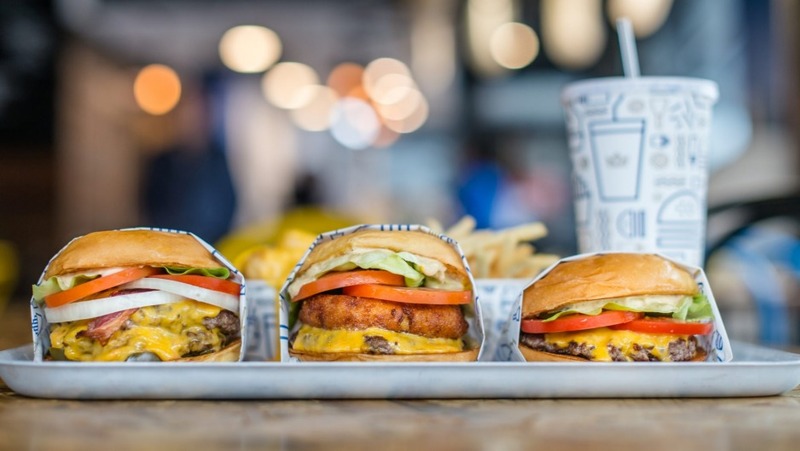 There are burgers named Prince Harry, The King and Queen Bee, but even republicans would be intrigued by the opening of Royal Stacks in Westfield Chatswood. 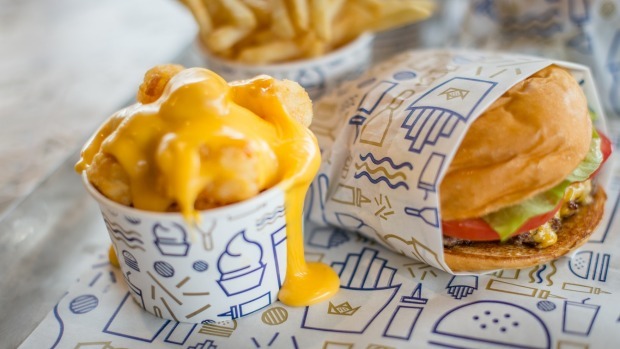 Melbourne's cult burger joint will launch its first Sydney outlet tomorrow, because it's "where we get our highest number of requests to open interstate", says owner Dani Zeini. "We love Sydney and we also have really enjoyed its recent burgeoning food scene." With the arrival of Royal Stacks, there's no danger of a burger shortage in town. Hatted chef Kerby Craig is launching two Japanese-style burger outlets (Bar Ume recently and Ume Burger next month) and interstate operators have been bringing their special sauce and fries to Sydney (Darlinghurst's Guilty is via Melbourne's Jimmy Hurlston; and Queenslanders Ze Pickle and Brooklyn Depot Burgers and Brew have set up in Surry Hills). But Royal Stacks aims to stand out in many ways - with its attention-seeking menu (The King burger, for instance, is stuffed with mac-and-cheese croquettes), specials like the McDowell (which is stacked with two patties, two types of cheese, three serves of bread and horseradish, shallot and gherkin mayo) and frozen custard flavours (from $4.50) that are unique to Sydney: Ferrero Rocher, Nutella swirl and blue cookie dough. Also, Zeini makes a point of customising what Royal Stacks serves. "We use the freshest ingredients possible and have worked really closely with Vic's Meats to produce the best blend possible for our beef patty with total traceability," he says. "What makes our burgers unique also is the bread is formulated only for our stores and has a low-starch content which won't leave you as bloated." Condiments - such as the truffle mayo for the Miss Elizabeth burger ($11.50) - are also made in-house. While it's easy to be overwhelmed by the staggering amount of burger joints in Sydney, Zeini is inspired - rather than intimidated - by the competition. "Sydney has a great burger scene which is growing every day. I think Sydney burgers are a little more creative and adventurous. The thing I like the most is all the venues and burgers have a unique identity," he says. "Aussies have been eating burgers for decades, but just not the way we are eating them now. We are always trying to come up with things that will blow people's minds." Westfield Chatswood, Shop 357/8A,1 Anderson Street, Chatswood, royalstacks.com.au.